Forest E. "Aggie" Sale, a former University of Kentucky basketball All- American and a former five-term state legislator, died of a heart attack yesterday at St. Joseph Hospital in Lexington. Sale, 74, lived at 520 Beaumont Avenue in Harrodsburg. 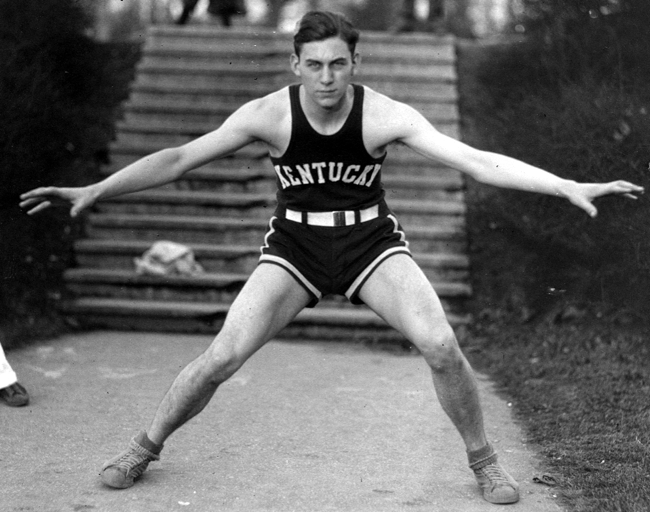 Sale played basketball at UK from 1931 to 1933 and was one of the late Coach Adolph Rupp's first All-American players. 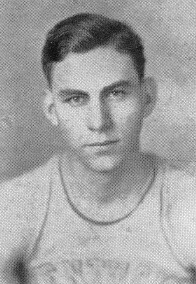 Sale was named All-American in 1932 and 1933. Rupp considered Sale one of the best players he ever coached. "Whenever he (Rupp) mentioned his best players, Aggie Sale was the first player he mentioned," UK sports information director Russell Rice said. "In his day and time, Aggie Sale was a giant." Sale, who played forward and center for UK, went to UK after graduating from the old Kavanaugh High School in Anderson County, a school from which several UK All-American players graduated. Fellow players and friends called him "Aggie" because he was in the UK College of Agriculture as a freshman student, Sale's wife said last night. Sale was an All-Southeastern Conference player in the 1932-33 season, and in 1933, he was named to the Helms Athletic Foundation as the outstanding college player of the year. Cecil D. Bell of Lexington, a former teammate of Sale, recalled: "He was a real close friend of mine, Aggie was. . . . Every day when we'd come out at practice . . . Aggie and I would play a game of 21. We'd come out to practice early. We'd shoot clear around the foul circle. I'd beat him most of the time. It made him so mad." "I always thought an awful lot of him. . . . He was a real nice fellow," Bell said. "He (Sale) was a tremendous rebounder, one of the best, I think, under the basket that Kentucky ever had, really," said Carey Spicer of Indianapolis, who was Rupp's first All-American player. "He was a tremendous player all the way around. His junior and senior years were just tremendous. But I only had the pleasure of playing with him his sophomore year." Louis McGinnis of Lexington, who also played basketball at UK with Sale, said: "He was a great basketball player . . . He was just a good fellow along with it. He was a nice person." Sale, a native of Anderson County, returned to his home county to teach and coach basketball at Kavanaugh High School after he graduated from UK. He coached at Kavanaugh from 1933 to 1937, and he went to Harrodsburg High School as a history teacher and basketball coach in 1937. Sale entered the Navy during World War II and achieved the rank of chief specialist. He returned to Harrodsburg after his military stint and resumed his teaching and basketball career at Harrodsburg High. 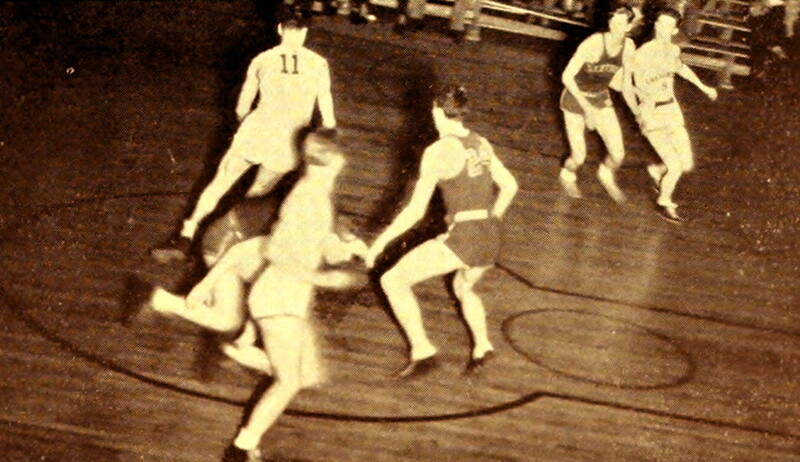 He remained basketball coach there until 1960 and retired as a teacher in 1964. After he quit coaching, Sale opened the Sale Sporting Goods Store in Harrodsburg, which he ran until about 1967. The store still bears his name. He also managed the family farm in Anderson County. In 1971, Sale, a Democrat, was elected to the Kentucky General Assembly from the 55th District. He was re-elected to the post four times. Sale served on several legislative committees, and education was one of his primary legislative interests. In 1983, the Harrodsburg Rotary Club named Sale the Mercer County Citizen of the Year. He was a Mason, a Shriner and a longtime member of the Harrodsburg Lions Club. Sale also had taught Sunday school at Harrodsburg Christian Church. Surviving are his wife, Elizabeth Van Arsdall Sale, and a daughter, Betsy Sale, both of Harrodsburg. Services will be at 2:30 p.m. Friday at Harrodsburg Christian Church. Visitation will be from 2 to 5 p.m. and from 7 to 9 p.m. today, and from 10 a.m. to noon Friday at McClellan Funeral Home in Harrodsburg. The body will be taken to the church at noon Friday. Contributions are suggested to the Harrodsburg Christian Church Foundation.